Here you can watch a 2 minute video of the great looking new box set of eight CDs called Stephen King Soundtrack Collection. It features four soundtracks, and among them Firestarter with its first new release in many years. PS. The WG Snuffy Walden soundtrack for The Stand is also fantastic! The release date is today, but I can't find a link for ordering it. I came here to post about this, but you beat me to it. I guess an order link will be up soon. I would love the additional disc from The Stand, I already have the first. I already have Firestarter. A pity no addiotinal material from the score appeared. 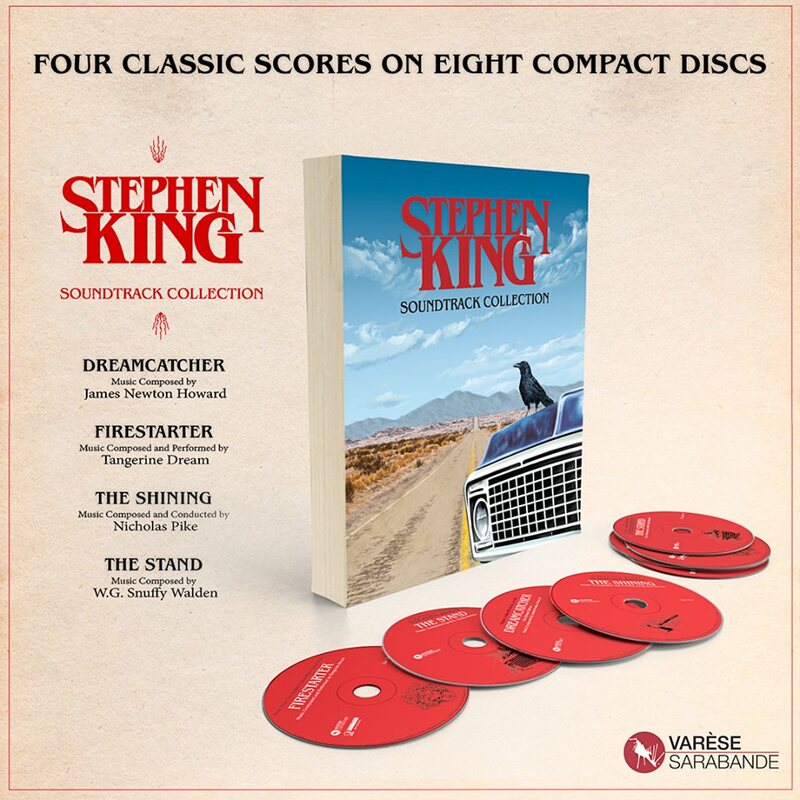 The scores from The Shining and Dreamcatcher are not really too interesting, at least not the THREE discs from The Shining, so I will not buy this set. I hope The Stand 2CD will be available at some time. Now it's added to the Varese Sarabande web store. As mentioned in the video it was to be added at 10AM local time, and that prooved to be 7PM where I live. Looks like a real gem, and a special item in any TD collection (or soundtrack collection, or Stephen King collection). It's limited to 1500 copies. I just ordered mine! As far as I remember the Dreamcatcher score is quite beautiful. The Shining should be interesting as it is from the TV series and not from the movie. I saw it once, but can't remember the music. But yes, I wish the Firestarter soundtrack was extended as well as the others, but as always I guess it is about the rights.